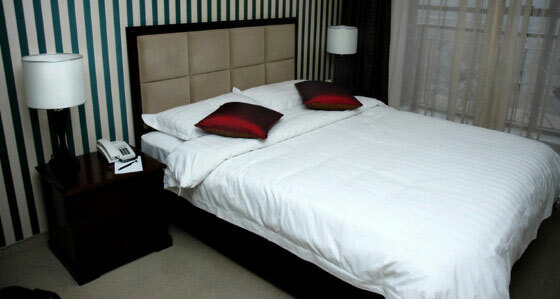 It has been said that the bedroom is the dirtiest room in the home. This is because humans shed a layer of skin every 28 to 38 days! 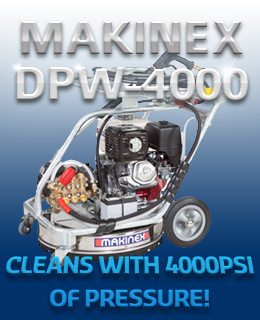 Dust mites absolutely thrive on this. They produce 200 times their body weight in excrement during their lifetime. A female dust mite can produce up to 300 eggs. 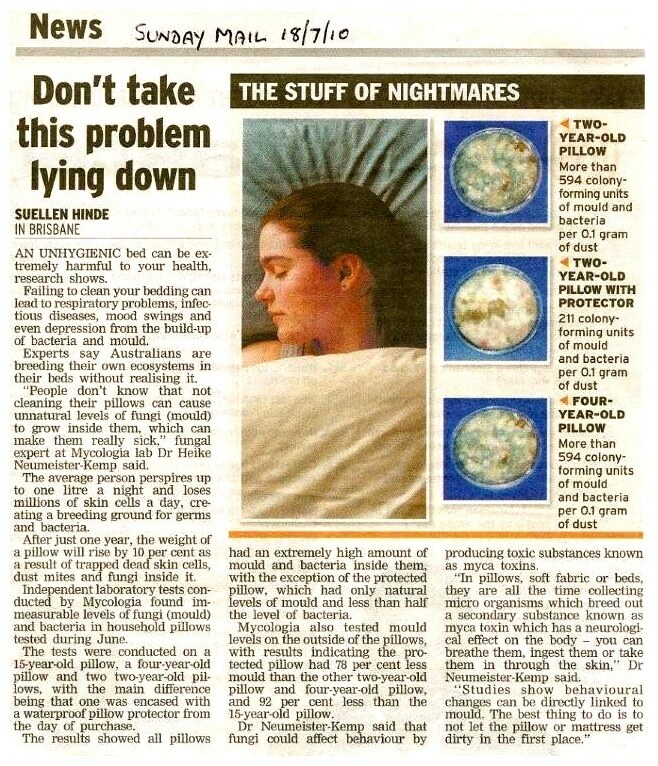 This article will highlight just how harmful and unhygienic beds can really be. Mattress cleaning by Bensons produces dramatic results. When a Bensons technician cleans a mattress the client never fails to be amazed at the amount of dust and debris extracted prior to the deodorising and steam cleaning treatment. 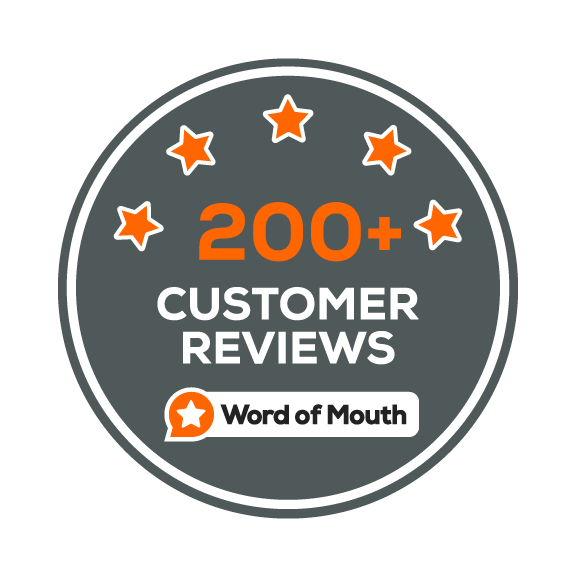 Although a mattress may appear to be clean, in actual fact there are millions of shed skin particles and other debris contained therein. Dust mites, germs and other bacteria thrive in these conditions. 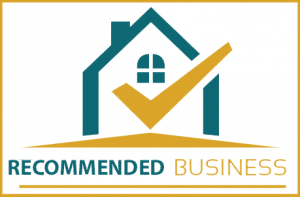 Bensons Cleaning Services use a formulated treatment designed specifically to eliminate this problem and, combined with 200 degrees steam extraction, leaves your mattresses clean, fresh and sterilised. 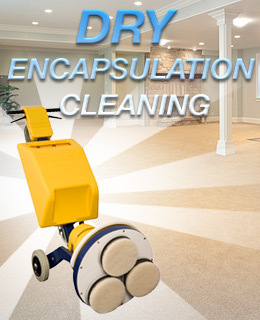 To book mattress cleaning in Adelaide by Bensons, call 0412 184 687 now. What does a dust mite look like? Both male and female adult house dust mites are globular in shape, creamy white and have a striated cuticle. The female measures approximately 420 micrometres in length and 320 micrometers in width. The male is approximately 420 micrometres long and 245 micrometres wide. A member of the phylum Arthropoda, post-larval stages of house dust mites have eight legs; larval stages have six legs. What is the average life cycle of the dust mite? The average life cycle for a male house dust mite is approximately 19-30 days while a mated female house dust mite can live for up to two months, laying eggs for the last 30 days of her life. 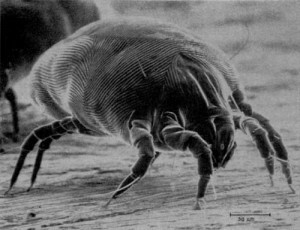 The dust mite thrives in the modern environment of fully-carpeted, double-glazed, draft-proof homes, and is comfortable at 25 degrees Celsius (77 degrees Fahrenheit) and 75% relative humidity. Temperatures of over 60 degrees Celsius (140 degrees Fahrenheit) for a period of one hour are fatal to dust mites; freezing is also fatal. The mites are particularly common in mattresses, carpets and bedding. House dust mites do not bite or sting. The mite generally lives on shed human skin cells, which are pre-digested by the fungus Aspergillus repens. An average person sheds about 1.5 grams of skin a day (approximately 0.3-0.45 kg per year), which is enough to feed roughly a million dust mites. 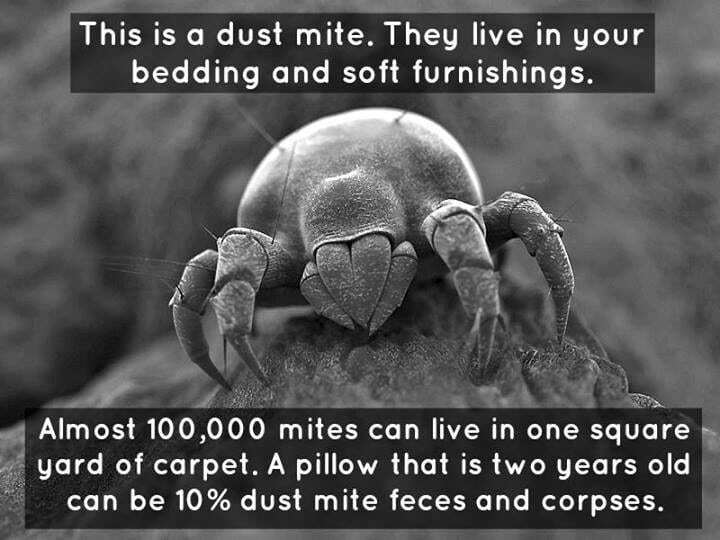 Further, dust mites in bedding derive moisture from human breathing, perspiration, and saliva. How do dust mites cause asthma? The house dust mite is one of the most significant source of allergens, implicated in allergic asthma, rhinitis, conjunctivitis and dermatitis. One of the more important proteins responsible for the allergic reaction is DerP1, a protease digestive enzyme found in mite feces.